The Naugatuck River forms the western boundary of Harwinton, a town on the east-central edge of Litchfield County. Its name, unique in the US, reflects its formation from lands held by the proprietors of Hartford and Windsor. This Hartford and Windsor town (Har-Win-ton) incorporated in 1737. Agriculture and light industry formed Harwinton’s economic base while its location on the Hartford-Litchfield turnpike brought commerce and travelers, including George Washington, through town. In addition to the clock-making firm of Edward Hopkins and Augustus Alfred, Harwinton’s businesses included producers of barrels, brick, tinware, and other goods. Today, the annual Harwinton Fair, established in 1853, honors the town’s agricultural past and present. “Harwinton Historical Society,” 2012. Link. “Mattatuck State Forest.” Department of Energy & Environmental Protection, 2017. Link. “Harwinton - WPA Architectural Survey.” Connecticut State Library Digital Collections, 2014. Link. Cofrancesco, Romily, ed. 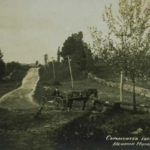 Campville Chronicles: An Oral History of the People of Harwinton, Connecticut. Harwinton, CT: Romily Cochrane Cofrancesco, 2009. Phelps, Matthew, and Anthony Haswell. Memoirs and Adventures of Captain Matthew Phelps Formerly of Harwington in Connecticut, Now Resident in Newhaven in Vermont: Particularly in Two Voyages, from Connecticut to the River Mississippi, from December 1773 to October 1780. Bennington, VT: Anthony Haswell, 1802. Link. Chipman, R. Manning. The History of Harwinton, Connecticut. Hartford, CT: Williams, Wiley & Turner, 1860. Link. 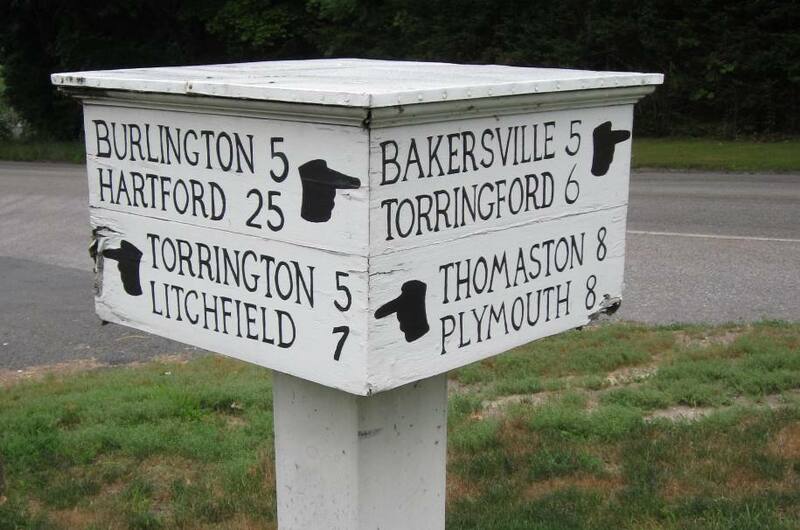 Harwinton’s Sign has a Long History – Who Knew?